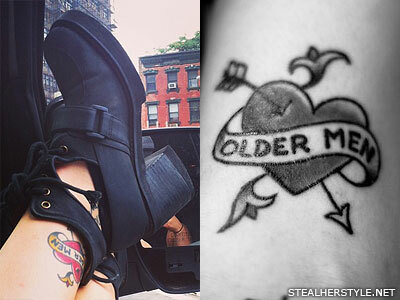 Sierra Kusterbeck’s boyfriend Shane Crump from the band Alesana gave her this homemade tattoo of a crescent moon on her right ankle in January 2013. 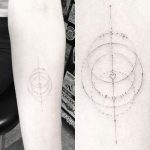 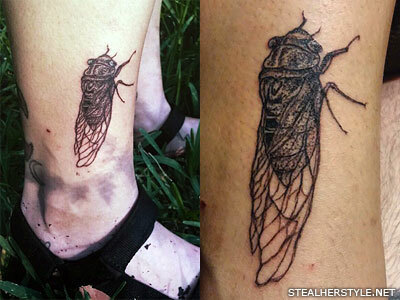 He used a needle and a bottle of ink for this simple stick-and-poke design. 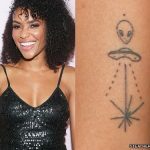 “One of them home tattoo nights,” Sierra wrote. 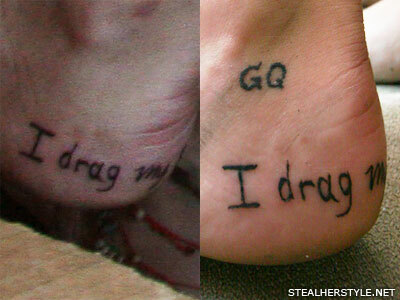 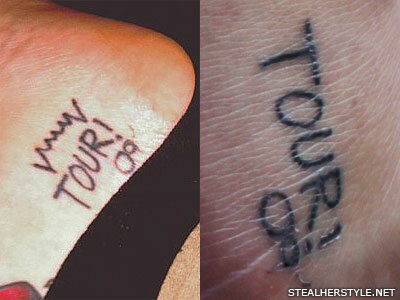 Foot tattoos wear off quickly due to friction. 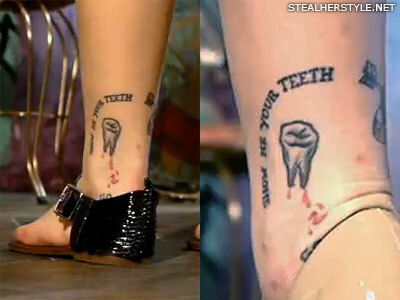 This tattoo on the inside of Sierra Kusterbeck’s right heel has become illegible. 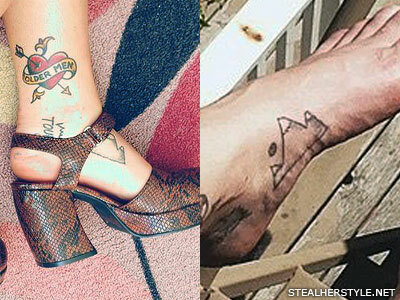 Sierra Kusterbeck has worn-off writing which wraps around her right heel. 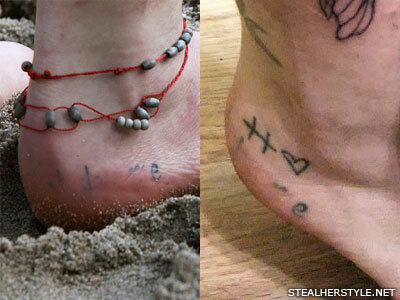 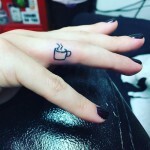 She later added two crosses or plus signs and a heart above the faded tattoo.